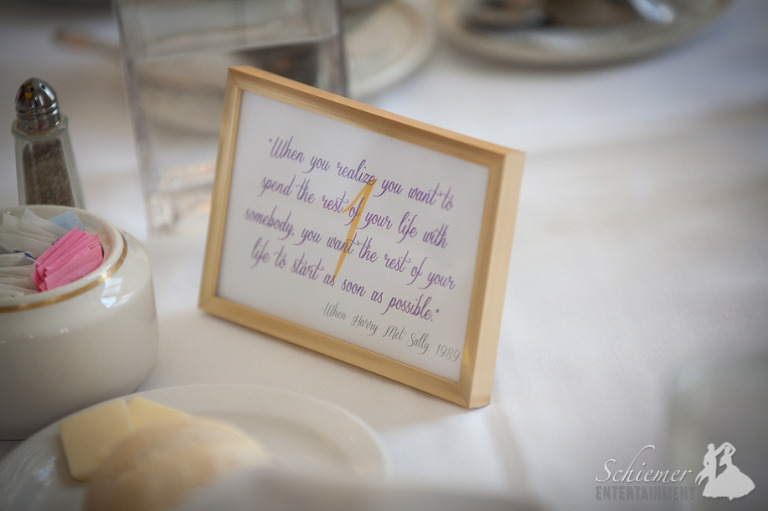 When planning the schedule for your reception, it’s the subtle things that can have the biggest impact. 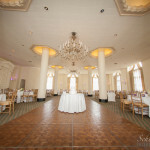 Erin and Mark did a masterful job planning the events for the their special day at the Pittsburgh Athletic Association in Oakland. 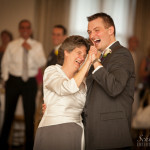 Both the way their reception began and ended allowed them to have the perfect wedding day with their friends and family. The newlyweds took the time between cocktails and the reception to include a receiving line. This gave the chance to greet all their guests individually and saved them lots of time after dinner. After all of the fun of the celebration, everyone was invited downstairs to the PAA’s bowling alley for a unique and fun-filled after party. 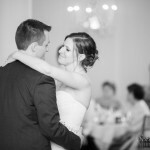 It was such a pleasure to work with Erin and Mark, who had a great vision for the their wedding day, and I was so happy to see it turn out so perfectly. The couple now gets to enjoy what I’m sure will be an amazing honeymoon in Curaçao. 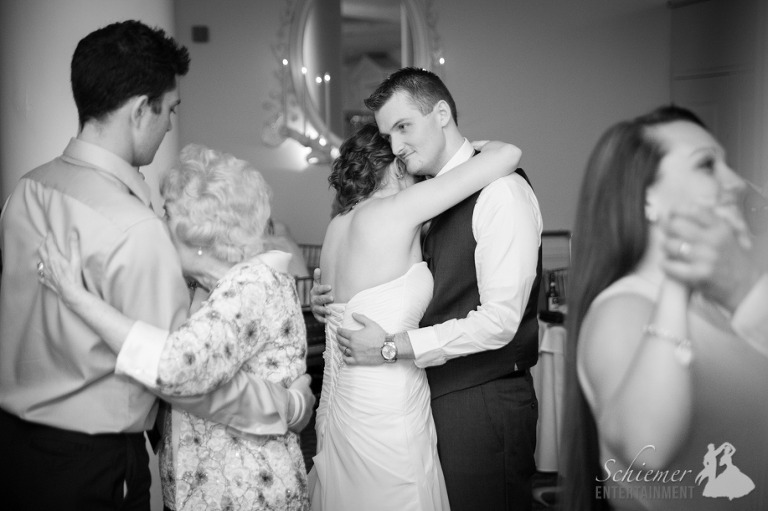 When your wedding is over, how will your guests describe it? I’m sure Megen and Keith’s family and friends will be using words like elegant, romantic, fun, and completely unforgettable. 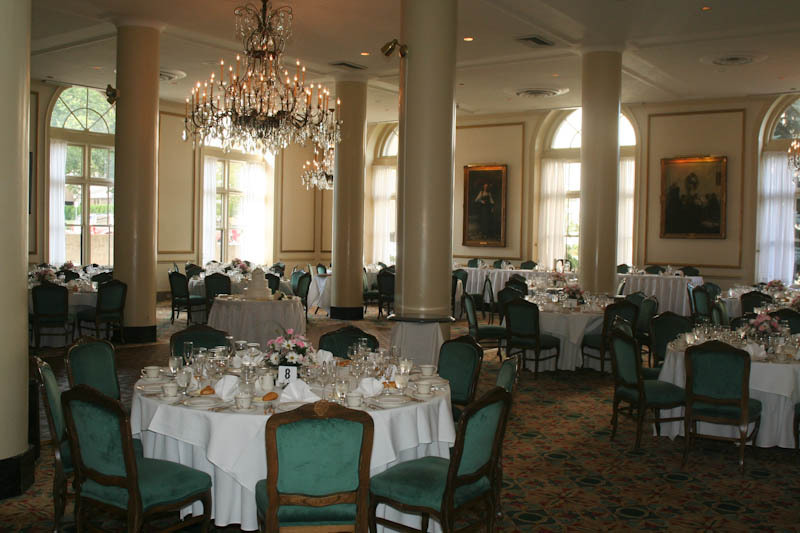 Their celebration was held at the Pittsburgh Athletic Association in Oakland, which was decorated beautifully. 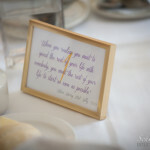 My favorite touch was how each table featured a romantic quote from the couple’s favorite movies. 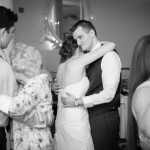 Keith said to me at the end of the night that the day had been more than he had ever hoped for, which is exactly what I wish for every bride and groom. Hopefully, Megen and Keith will be able to say the same thing about their romantic honeymoon in Jamaica! Let’s talk about the excitement of the wedding celebration. 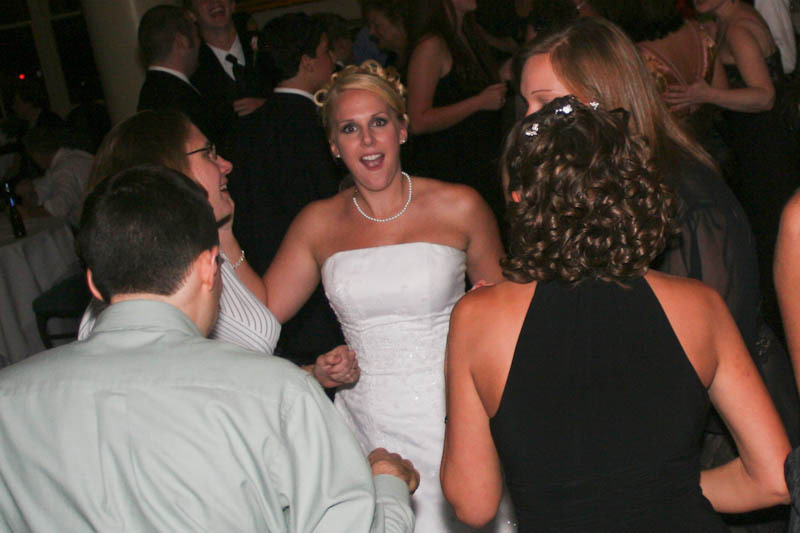 One of my favorite experiences is when the friends and family of a newly married couple arrive at the reception full of energy and jubilation to get the party started. 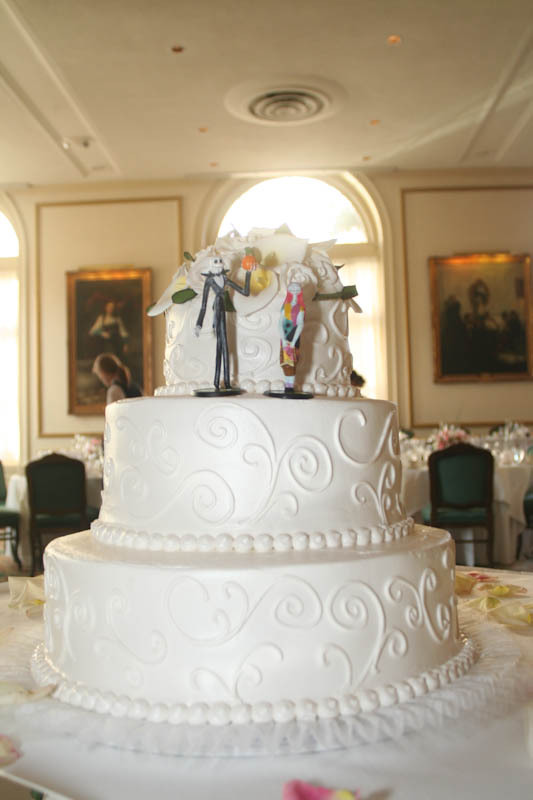 At the reception of Meghan McHenry and John (Gray) Cole, the guests came to the Pittsburgh Athletic Association prepared for an epic celebration, and didn’t leave disappointed. The venue was decorated in wonderful Fall colors. As the guests arrived, there was no denying their anticipation for the party of the year. The Athletic Association was filled with the sounds of laughter. 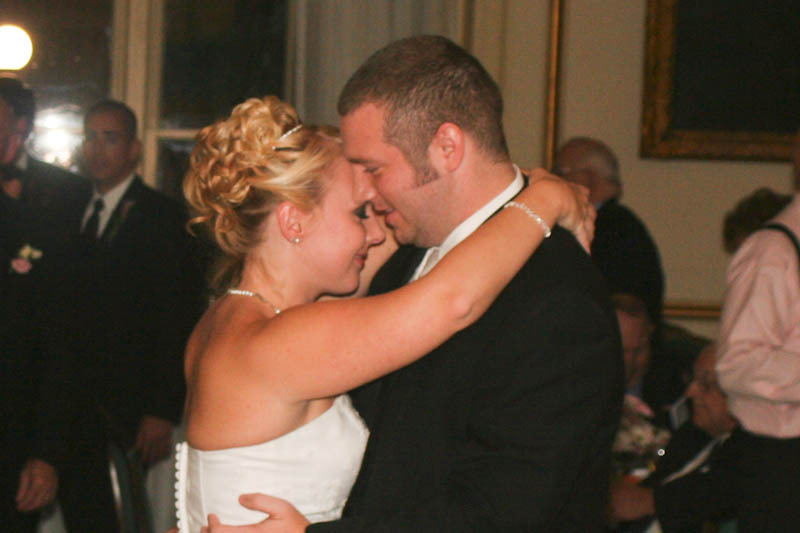 Meghan, John & I did our planning online and via telephone since they were planning their wedding from Maryland. 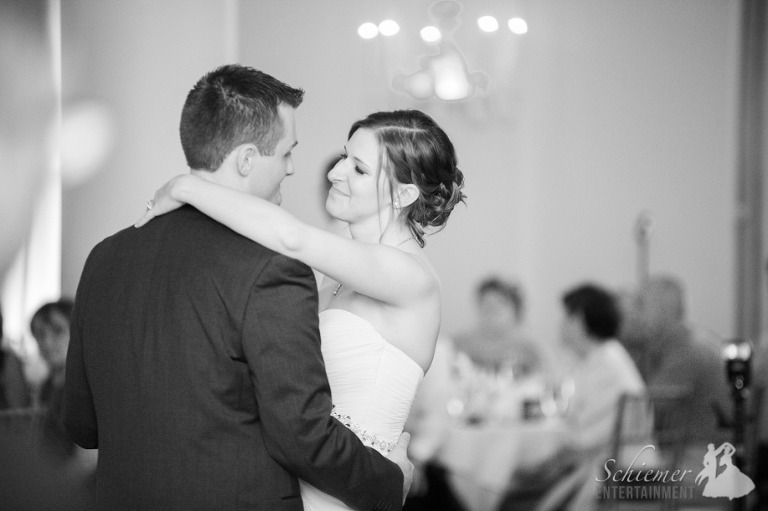 Their relaxed nature made it fun to pull their ideas together into a playlist that flowed nicely from beginning to end. During dinner, Meg & John visited with each table instead of eating! Once they were done they moved straight to cake cutting & their special dances. Talk about putting your guests’ needs in front of your own! What happened next is the reason that any one ever dreams of being a DJ. 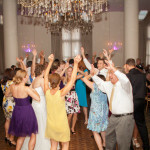 From the first song, the guests jammed the dance floor and kept the party going, and going, and going. It was awesome! 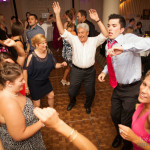 Groomsman Luis, showing off his amazing dance moves! 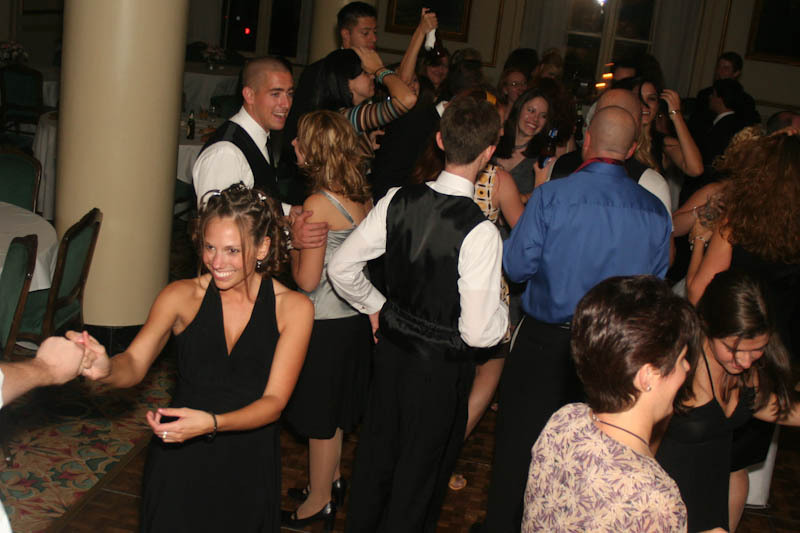 Meg and a few of her bridesmaid took a well deserved break before coming back to the dance floor. I always tell my clients that you should leave your guests wanting just a little bit more. Everyone should leave with the feeling that they could have danced all night. With Meg & John’s friends and family, I’m convinced the party could have easily lasted for 5 or 6 more hours. 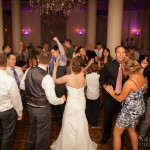 Everyone was ready to join together for the ultimate celebration, and they danced their hearts out to every song. The newlyweds are off on their dream honeymoon to Greece. I’m sure everyone will be ready to celebrate again when they return! 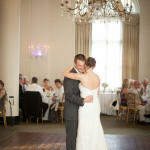 Looking back at some older weddings is really getting me excited for this upcoming year of wonderful receptions. Later this year I’ll be playing again at the Pittsburgh Athletic Assocation again. I figured it would be good to showcase some images on my site from the last time I performed there. 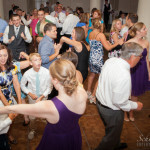 Susan and Aaron had a fabulous and fun reception that lasted long into the evening. They certainly created an evening that showcased their personalities. Most people didn’t even notice these two hidden on the cake. I can’t say enough about how terrific the Pittsburgh Athletic Association works as a reception venue. 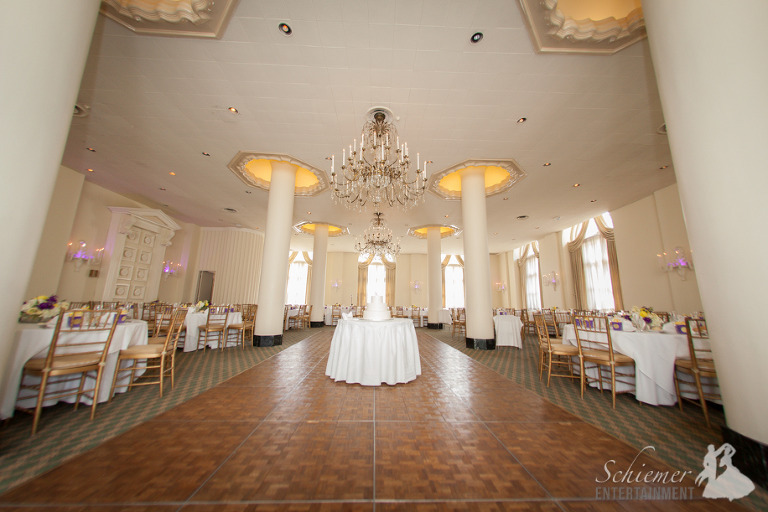 It’s beautiful, elegant and their staff works to make sure every need of the guests is met perfectly. Suzie and Aaron’s friends were ready to dance from the first song til the end of the evening. What a great party!